CCTV security cameras seem to be everywhere from businesses to residential homes, and with good reason as they can not only deter potential attacks, but can catch the perpetrator on video. Here are ten CCTV facts you may not have been aware of. 1) Approx 25 million CCTV cameras are operating around the world. 2) Almost all bank cash machines use CCTV cameras. 3) The UK has the highest number of CCTV cameras per head per population, about one camera per 14 people. In total the UK has 4 million CCTV cameras, which is 20% of the World’s total CCTV camera installations. 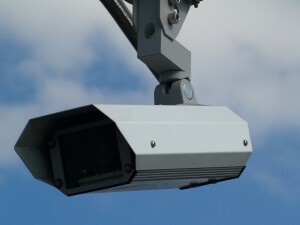 4) It is believed that in the next five years the use of CCTV cameras will increase 10 times in UK. 5) Some places in the UK have installed CCTV where the operator can talk to the people they monitor by deterring wrong doing or assisting when needed. 6) Harrods in London has over 500 CCTV cameras installed! 7) Experts believe that as much as 67% of burglaries could be prevented if people had security cameras in their own homes. 8) London tube network is covered by as many as 11,000 cameras! 9) The first CCTV camera was installed in Germany for observing the launch of V2 rocket at Test Stand VII. Walter Bruch, a German engineer was responsible for the entire installation and design of this system. 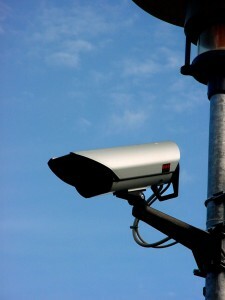 10) According to a research, the average citizen is caught about 300 times a day on a CCTV camera. At Flarepath Doncaster we can help provide and install the security system that is right for your home or business. Contact us today. When deciding to add CCTV or HD CCTV security systems to your home or small business, you need to think about a few of your options and what is best for your needs and premises. High Definition or normal CCTV? Although HD CCTV is relatively new to the market, there are some great affordable systems to get that extra resolution and performance compared to normal CCTV systems. It is ultimately your choice however whether you feel you need the added benefits, and we can help determine which system will be right for you. Do you want only inside cameras, or outside ones as well? Inside cameras tend to be cheaper because they don’t need to be weather proof like their outdoor counterparts. You also want to think about whether you would want an outdoor camera to be in view to deter burglars or someplace hidden for discreet monitoring. You will also need to think about how many you want, which will depend upon the areas you want monitored and if more than one camera is needed to do the job. Motion detection or 24/7 coverage? Systems are set up differently and can either record constantly, or some can be set to only record when motion is detected. CCTV that is set to record all the time will need a lot more memory to store the footage, but sometimes motion detection software may not pick up on everything, so it will depend on how often you need your space monitored. You can free up storage by reviewing tapes and discarding the data every once in a while as well. Do you want instant remote access? Many security cameras on the market now are able to be accessed remotely by a device connected to the internet such as mobile phones, computers or tablets. Along with remote monitoring, some systems allow you to change settings and control the cameras remotely as well, such as change the position, zoom etc which can be helpful. We can help discuss your home or small business security needs and design and install a complete system that will be exactly right for you. Contact us today for a quote and to discuss your new security system. CCTV is often necessary for your company to deter criminals and catch any unwanted activity that may happen. Replacing standard CCTV systems with high definition ones helps see details that may not have shown up on standard systems such as facial details or logos on clothing. You get a clearer picture to work with meaning you have a higher chance to identifying criminals or identifying small movements from customers or staff. Having an HD security system for your business to deter crime seems standard, but your systems can be much more beneficial than that. Along with the benefit of deterring vandals and criminals, you can also monitor your staff and customers. Monitoring your staff can be an effective management tool, improving staff productivity and theft that may be occurring from employees. Having your premise constantly monitored means that you will catch everything that happens as well, helping the prevention of false insurance claims, and also ensuring health and safety regulations are enforced. Systems can be fitted in shops, warehouses, carparks or wherever you feel your business could use some extra monitoring. We install and manage systems in Doncaster and the surrounding area, and the cost to install HD CCTV can be less than you think, so contact us today. To get a quote to install CCTV for your business, or to upgrade an existing one to HD, call on 01302 400215. Your safety and security is important, and so is your peace of mind. With an HD CCTV security system in place and monitored by Flarepath Doncaster, you can be rest assured that if anything happens it will be taken care of swiftly and efficiently. Many home insurance companies offer a discount if you have a system in place, meaning you can transfer those savings into the cost for the installation and maintenance of a security system to protect your home and your loved ones. Often just the presence of a security system in clear view is enough to deter criminals, meaning your home will be less of a target for thieves and vandals. To discuss your home security requirements, give us a call on 01302 400215. Comments Off on What is Cloud storage? Cloud storage is a term people have become more familiar with in the last couple of years, but what exactly is it? 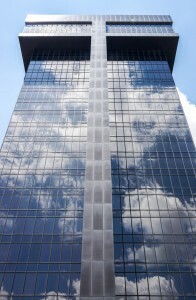 When a company or persons data is stored and accessible from multiple locations this makes up a cloud. The files are stored in a data centre by a hosting company, which normally spans multiple servers and locations. Your data can then be accessed from any device with internet access at any time. Flarepath in Doncaster offer offsite cloud backup for your home or business needs and can offer you peace of mind that your data will be safe. Contact us today for a quote. Most of us have probably been in a situation where we felt our home may not be secure while we are away. With new technology, many HD CCTV systems can alert your smart phone, computer or tablet if something happens at your home, wherever you may be. You can receive alerts or pictures straight away if something sets off your alarm system so that you can deal with the situation quickly. Many systems even allow you to access the CCTV cameras through your smartphones or the internet so that you can see in real time what exactly is happening in your home whenever you check in. We provide homes and businesses in Doncaster and the surrounding area with CCTV that suits their needs and budgets. Get in touch today to discuss how we can best protect your home. Theft from Employees – not all theft occurs from outside sources, placing a security system facing your tills and around your shop will also keep tabs on your employees and deter theft from within your company. Preventing Crime – often times the presence of security cameras is enough to deter thieves or vandals from striking. Protecting Staff – recording incidents can help protect staff against false accusations that may come from clients, customers or even colleagues. Monitoring your workplace can also protect them against violence from customers as well. Spotting Accidents – if someone falls over or slips and you catch it on the CCTV system, you can offer assistance straight away, and also have the situation documented for legal reasons. Here at Flarepath we have the knowledge and expertise to ensure you have the security system that is right for your home or business needs in Doncaster and the surrounding areas. Contact us today to update or install your new HD CCTV system. If you were wondering if it’s worth it to update your existing CCTV network to a High Definition one, we’ve put together a list of five reasons why you should. 1) HD CCTV can be more cost effective. You may be able to replace several cameras with HD ones, as the quality of the picture is better and can therefore record at different ranges. There is also no additional training involved as you don’t need to configure any networks, you just plug it in and it works. Swapping your current CCTV system to HD is simple as all your existing cables can be used avoiding costly and time consuming changes to the cabling infrastructure. There is no latency (shaky skipping video) as the video feed travels on its own with no compression delivering a better video quality, sometimes up to 20x clearer. You can log in securely not only on a computer, but on a tablet or mobile phone, allowing you to view and manage your feed remotely wherever you are. It’s in the name, your video quality will be in high definition, similar to your tv capturing a video resolution of 1080p. Clear crips video and pictures means more detail is caught on your HD CCTV system which could be crucial if something happens on your premise. Flarepath in Doncaster can help set up a new HD CCTV system that will suit your home or business needs. Contact us for a quote or more information. If you have an existing CCTV system in place, it’s easier to update to the new HD CCTV systems than you may think. There is no need to lay down new cables, it’s simply a matter of replacing the old camera and recorder to your new high definition ones. Upgrading to HD gives you a much clearer recording than CCTV systems of the past. They capture moving objects quickly and without lag, and offer crystal clear quality so you can see much more detail than before. We upgrade and install HD CCTV systems all over Doncaster, so contact us to upgrade or get your system today. There is a new range of HD-SDI DVR’s available, so you can be more connected with your security system than ever before in Doncaster. With multiple camera views and access from mobile phones, you can make sure that your home or business is secure from wherever you are. There are also several recording functions so when you can’t keep watch in real time, you can be sure that everything is recorded for you to playback. Contact us for more information or for help with finding the best system to suit your needs.